The European Union’s chief negotiator for Brexit has indicated that a deal with the United Kingdom on the country’s departure from the bloc would be possible by November. Michel Barnier said Monday that if the EU and the UK could stick to the realities on the ground, a deal on Brexit would be in their reach. “I think that if we are realistic, we are able to reach an agreement on the first stage of the negotiation, which is the Brexit treaty, within six or eight weeks,” said Barnier while in Slovenia for a forum. The French diplomat made the remarks after British authorities set November as the deadline for a deal on Brexit, saying any agreement after that would make it difficult to gain the parliamentary approval needed before Britain officially leaves the EU at the end of March. Barnier endorsed that notion and said that a deal before that deadline would be possible. The announcement was a huge boost for the British pound as it was traded on a five-week high of $1.3052, while it also rose around 0.3 percent against the euro. It came against the backdrop of warnings that Britain could crash out of the EU without a deal to regulate trade and other issues in future. Fears about a no-deal Brexit had intensified in early July when Britain submitted its final proposals for reaching a deal. 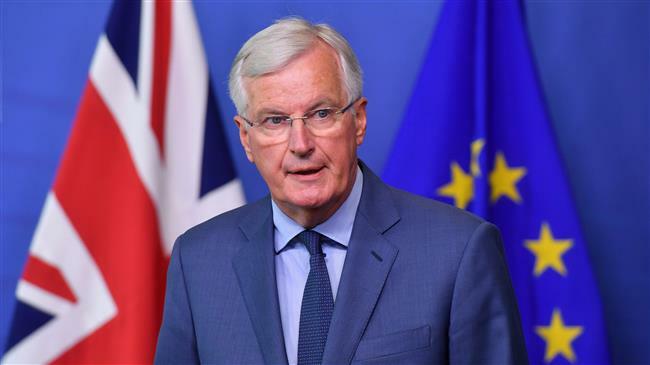 Barnier and other EU officials rejected many of the UK’s demands, especially those concerning the situation of the Irish border. Reports have suggested that the two sides still vastly differ on how to treat the border between the UK province of Northern Ireland and EU member Republic of Ireland once Britain has left the EU.